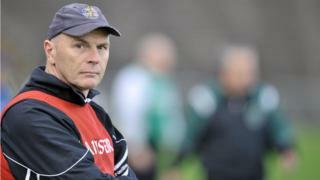 Kilcoo manager Jim McCorry says he is focusing on the performance of his own side in Sunday's Ulster Senior Club Football semi-final against Ballinderry. The Down champions are hoping to topple another giant of the club game in Ulster after defeating Crossmaglen Rangers in a quarter-final replay last weekend. McCorry was manager of the Mayobridge team which lost to eventual All-Ireland champions Ballinderry in the 2002 Ulster Club championship.